Are you someone who has always dreamt of packing your family inside an RV and exploring the roads for that perfect family vacation? As far as renting an RV is concerned, there are many myths that surround this industry and customers are often gullible enough to believe in the distorted truths regarding recreational vehicles. So, if you’re ready to make this trip a part of your experience, you should know how to differentiate between the myths and facts. With that in mind, let’s review a few myths related to RV rentals and clear up some misconceptions. Fact: Unless you’re someone who has traded flying for having the experience of RVing, it is never possible for you to save your dollars with an RV rental. There are several costs that have to be taken into account, the cost per driven miles, the rental cost for every day, the costs of fuel and insurance costs. Hence, you have to perform detailed research on the costs and set a travel budget when you rent an RV. You’ve got a plethora of options at your disposal. Fact: Yes, there are some RVs which are similar in look to a tour bus, but the sizes range from something that is not too bigger than a van and something that is big enough to live inside full time. There are easy online tools which can let you compare RVs. Although driving an RV can be daunting at the beginning, it can be made easier if you drive it slow, utilize your mirrors, turn wide and get comfortable while sitting behind the driving wheel. In an RV, being able to use the washroom and make lunch for your family is a priceless feeling. Myth #3: Every campground has been created in an equal manner, even the beds! Fact: There are few full-service campgrounds that offer various luxury amenities like playgrounds, pools and places for daily activities. At the same time, not all campgrounds for RVs are created equal, and some only offer hiking trails and flushing toilets. Before you rent an RV, you should know about its sleeping facilities. If there is a regular bed for mom and dad, where are your kids going to sleep? Will you require disassemble a table in order to design a bed? Or do you need to carry bedding supplies? You should be able to answer all of these questions before selecting a particular campground. Fact: No, this is nothing but a myth. Your RV is definitely going to roll down through the highway, but the only places that you need to think about driving an RV are interstate areas. There are few National Parks, such as Black Hills, that have extremely narrow roads and tunnels with very low ceiling walls, which can become too low for an RV to pass. Once you have already hooked up all sorts of amenities, would you wish to unhook it again? Therefore, aside for interstate areas, you can drive your RV to any place without facing any trouble on the road. 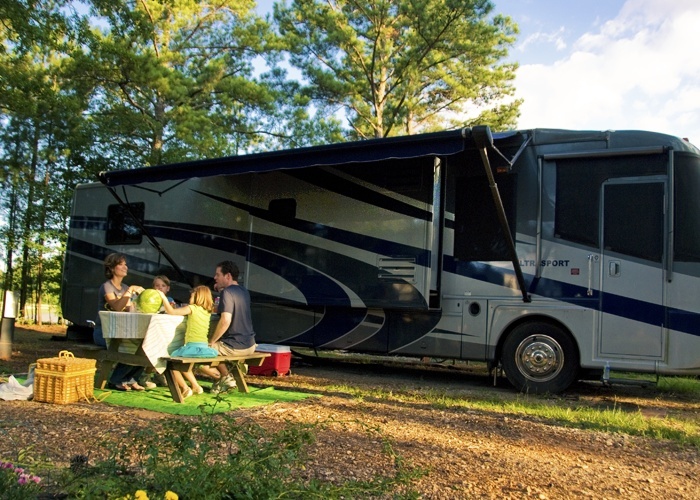 In short, when you rent an RV, the experience of vacation will altogether change due to the comfort and convenience that you will get through this recreational vehicle. You don’t have to wait at places finding food and looking for restrooms. You will never have to utter, “Are we there yet?” Since you’ll have every single facility inside your vehicle, it is going to be nothing less than a joyride which will remain etched in your memory forever.